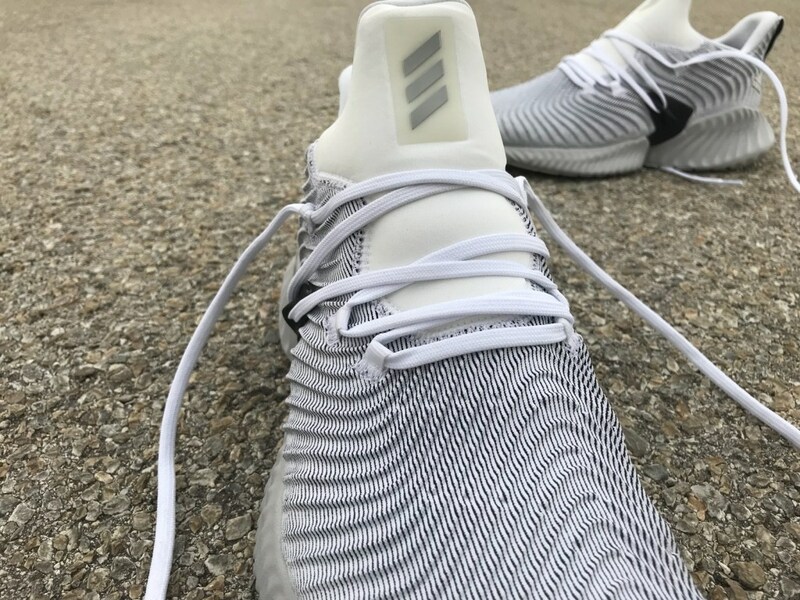 Around the end of February this year, a group of adidas AlphaBOUNCE Instinct showed on the Internet, which impressed the upper surface with cool texture. 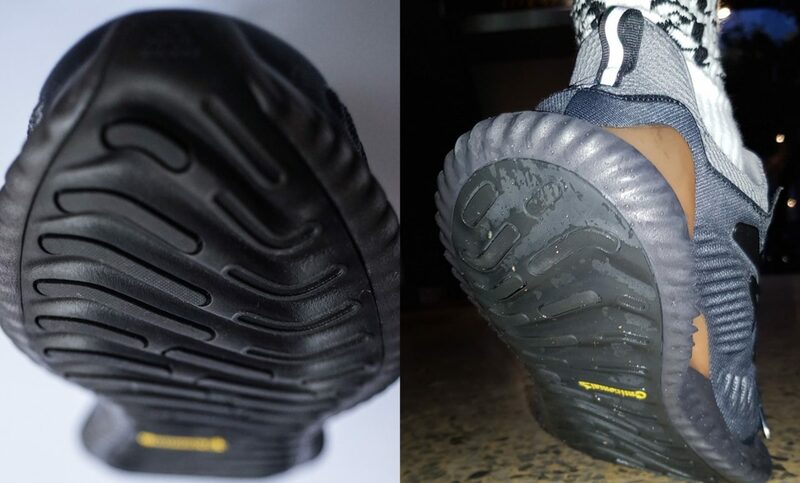 When the shoes actually released, it was not only the full pattern of the upper. 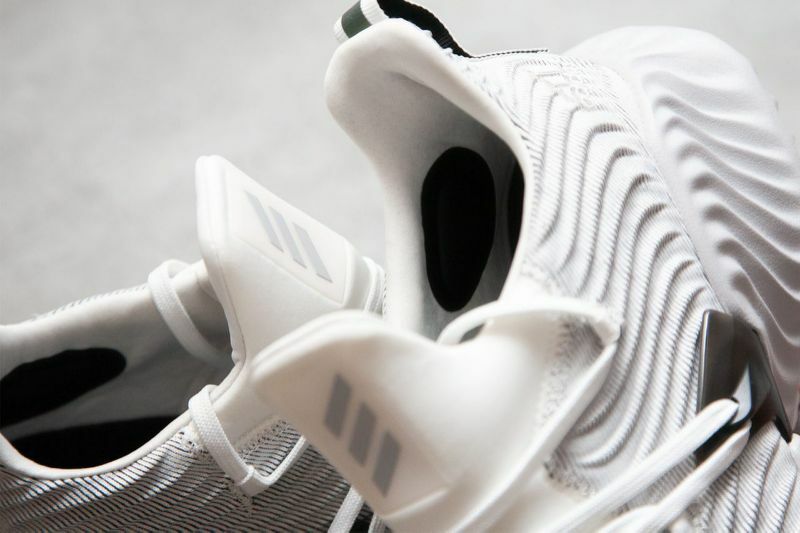 In the meantime, the midsole are also great.Bounce cushioning was used for the midsole and the upper was designed using adidas’ ARAMIS motion capture system with Forged Mesh to support where needed ,anyway, this type pf shoes just can be description stable and flexible. For the box, it is simple ,just black box with logo, and there is the info of the side of box too . 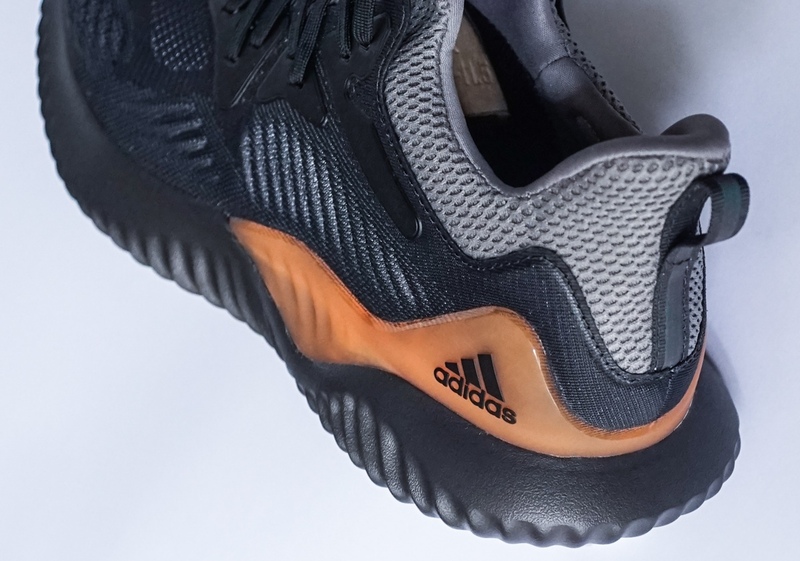 The adidas AlphaBOUNCE originally made its debut back in 2016. 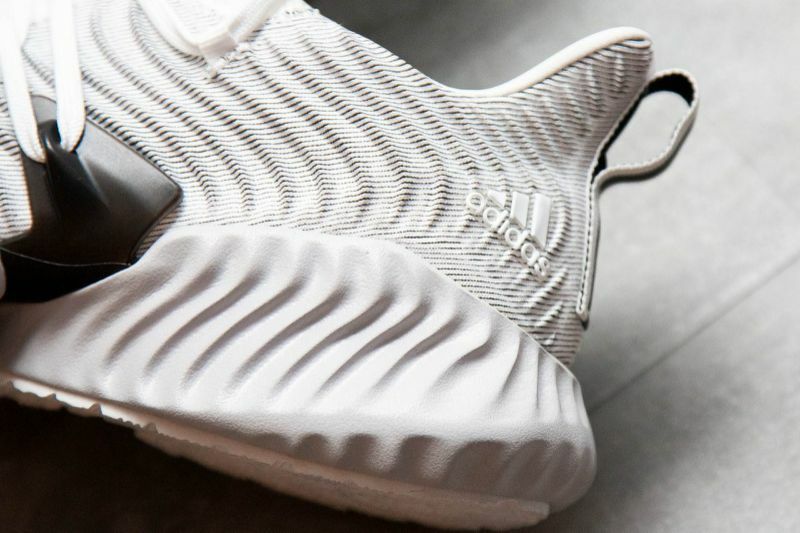 Since then, we’ve seen adidas release plenty of new renditions of the shoe. 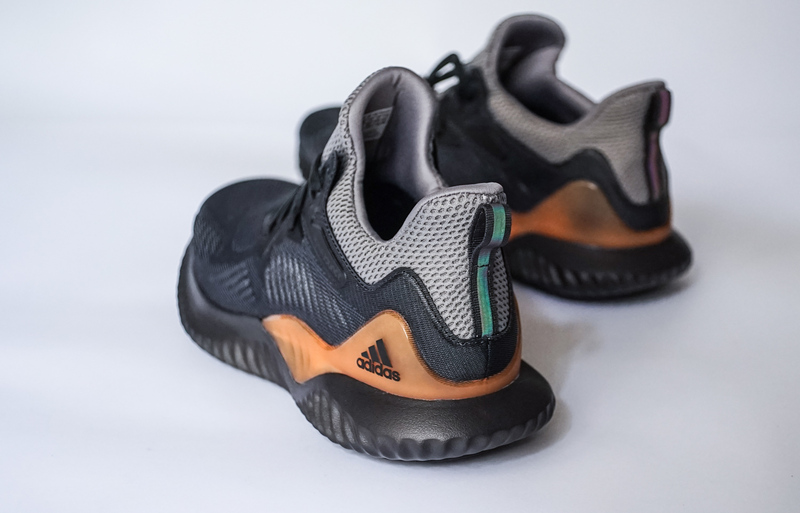 Starting from adidas AlphaBOUNCE Beyond, the adidas followed the design of last mode, so the AlphaBOUNCE Instinct not only for the running, also we can play it on the basketball court,and it also for daily life training, adidas AlphaBOUNCE Instinct continues this setting, FORGED Mesh exhibits strong support, with a thick lining for a comfortable wrap. 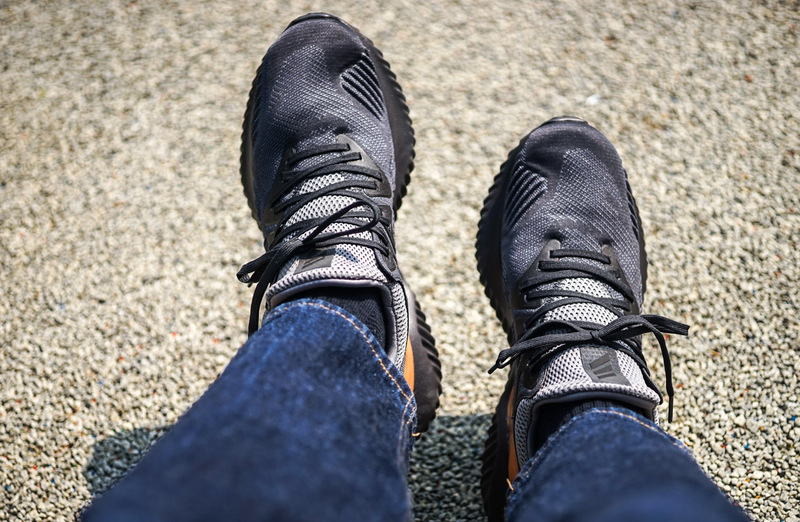 Suitable for use in the upcoming autumn and winter seasons.The original AlphaBounce had a Forged Mesh upper. 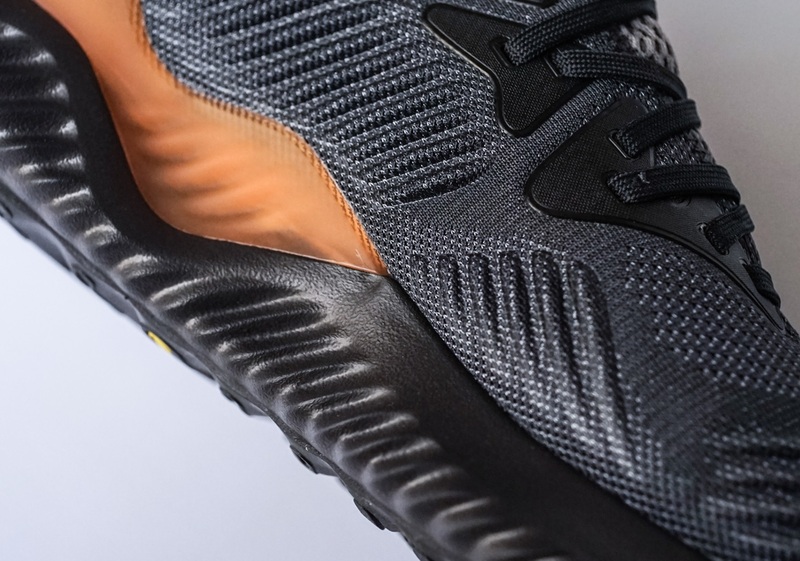 The AlphaBounce Instinct has a Forged Mesh upper.but it is different for this kind of material,the AlphaBounce Instinct is a stiffer Forged Mesh, much like what was used on the Dame 3, it is will be more stability and flexibility. 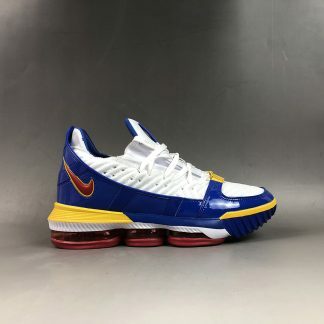 So if you tried the Dame shoe, you must know this feeling . In terms of flexibility, in addition to the clear wavy lines on the upper, We can see the specific area of the toe is interrupted. 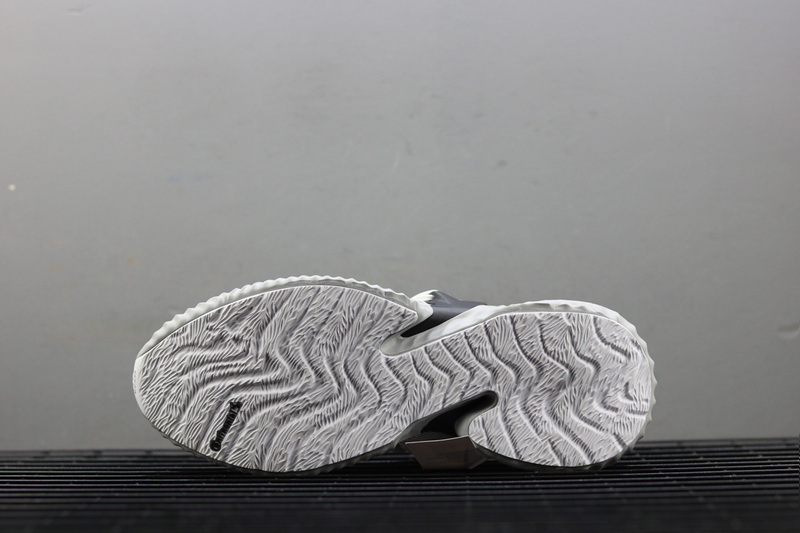 When we playing this shoes we can feel more flexibility, the upper is controlled to bend in the depressions, which also reduces the obstruction of excessive deformation of the upper. For the supporting , I aways think the Adidas shoes just not bad, but the Jordans shoes will be more great. 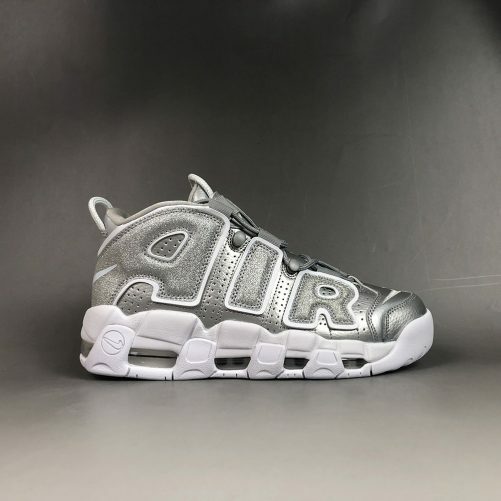 so the supporting of this shoe just so so.We can see the heel part actually can provide the protection.The pieces pull completely away from the upper and are attached to the midfoot shank, tying the lateral support into the sole for extra stability. So maybe for some light weight guys, maybe it enough for the supporting .For me , it has been not enough so far. One thing that was added was pillows around the ankle bone; there is one on the lateral and one on the medial side. These can avaoid with any heel slip that might have been hurt. 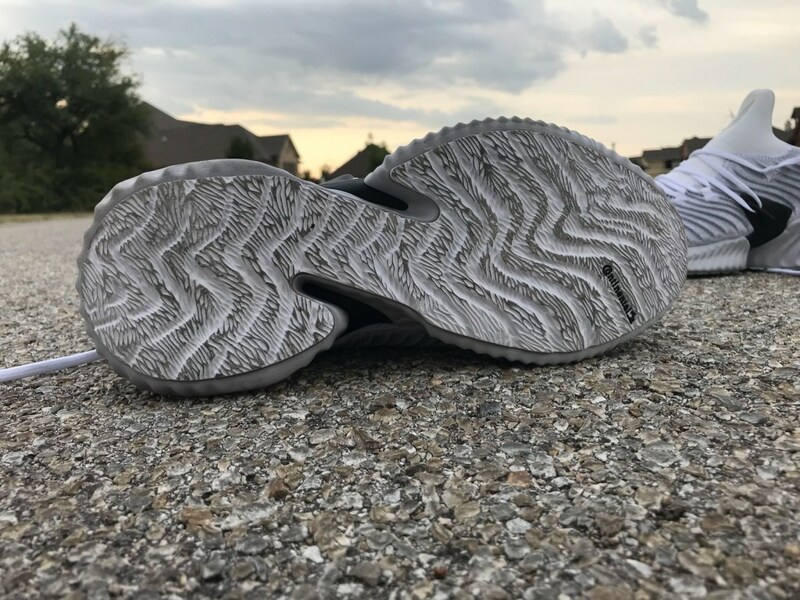 This shoes used the Bounce cushioning again, but it different is the a thick grey midsole that features a generous helping of Bounce cushioning in the heel provides cushioning, it appears to have something going on under the arch — that’s the Adaptive Torsion System, designed to allow the foot to move naturally without losing any cushioning or traction. For those of you who love adidas but feel Boost is a little too crazy, Bounce should fit you fine. 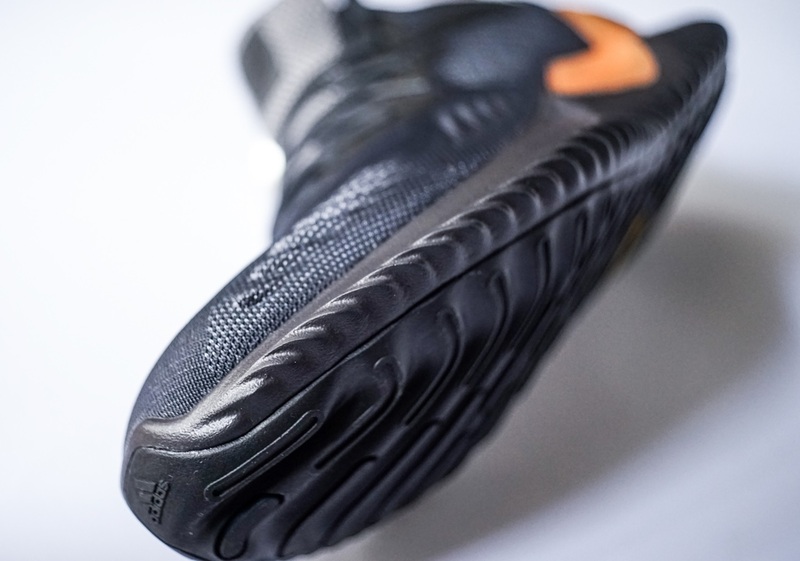 While a Continental rubber outsole offers outstanding durability and completes the shoe’s futuristic look. 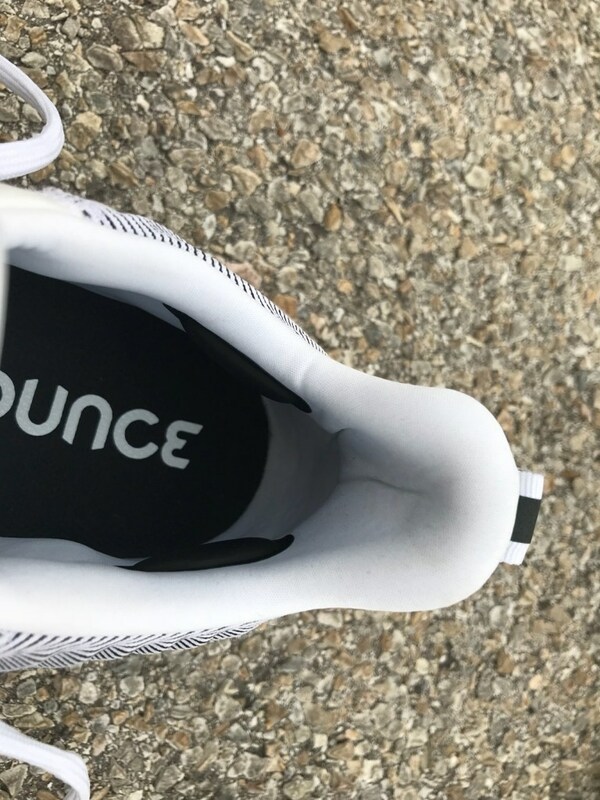 The BOUNCE midsole is flexible while bending, this midsole also take a great action.And the forefoot can even be bent by nearly 180 degrees, but with the thickening of the midsole, the torsional force is also enhanced. 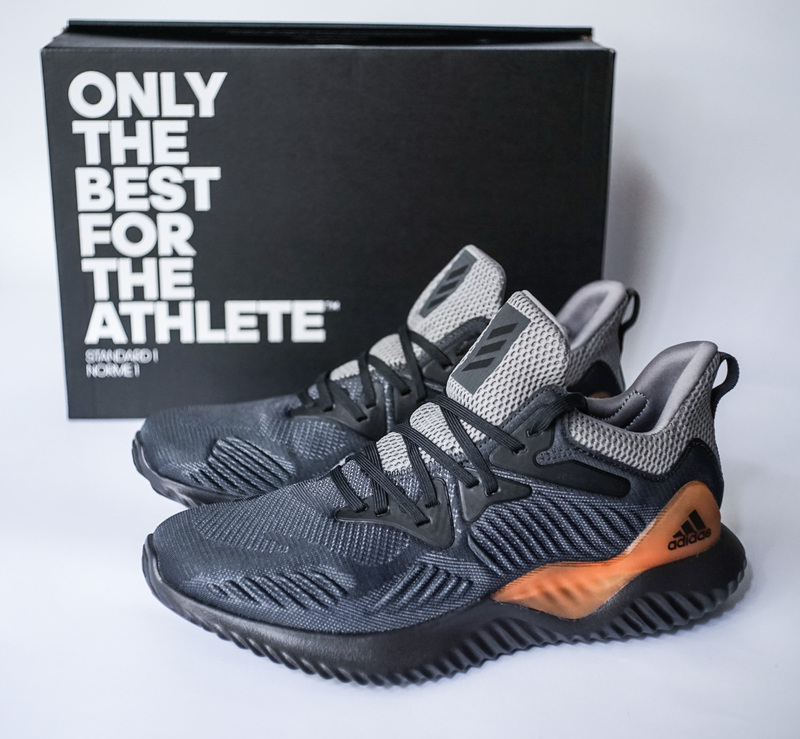 But the traction with s-shaped structure and the Torsion system, which enhances the flexibility of the bridge and meets the stability requirements,for me,it is a very interesting design which creates the multi-functional performance of adidas .AlphaBOUNCE Instinct, which completes the running process of running or sports. 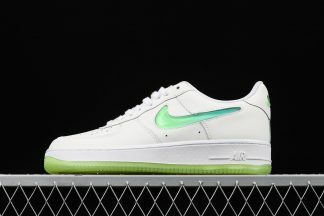 There is also a new lacing system that drops down the midsole on the middle of the shoe. 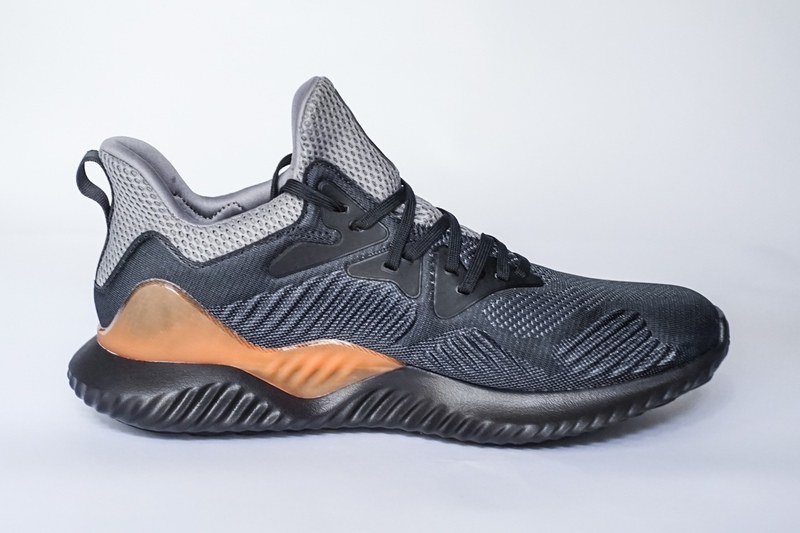 Overall:adidas AlphaBounce Instinct is nice , the upper is eye-catching and unique,also the protection of heel part also give us a surprise.With an all-around shoe for multiple activities, with cushioning good enough for running or basketball, a court-friendly traction pattern, though the supporting just normal. As part of the Three Stripe’s “Run The Game” campaign, professional athletes, Landon Collins, Damian Lillard, and Florencia Garcia are pictured with the collection to demonstrate the importance that running has in each of their respective sports. 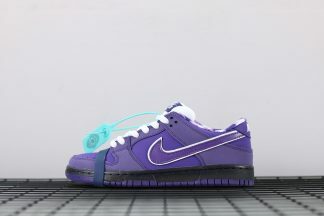 I have been expected this kind of shoes so long , so lucky that got one in the April . 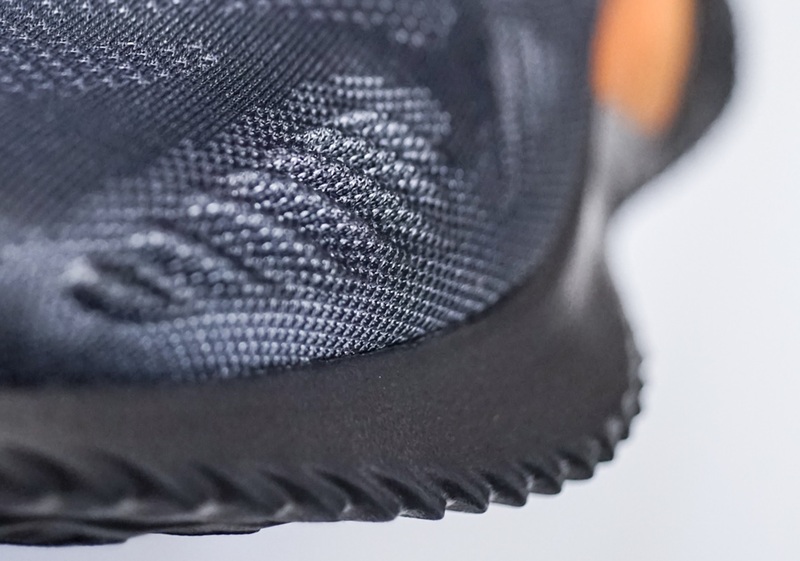 For the first sight , it is look simply and seems a little similarity in adidas boost .But it is will be a difference with the boost ? meet the athletes required who compete in sports such as soccer, football, basketball, baseball, field hockey, tennis and boxing – as well as versatile athletes. 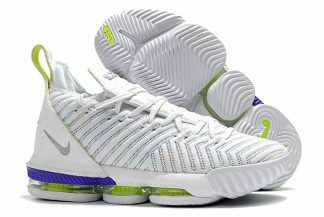 The shoes used the mesh technology ,I just felt more comfortable and soft when the first feeling. 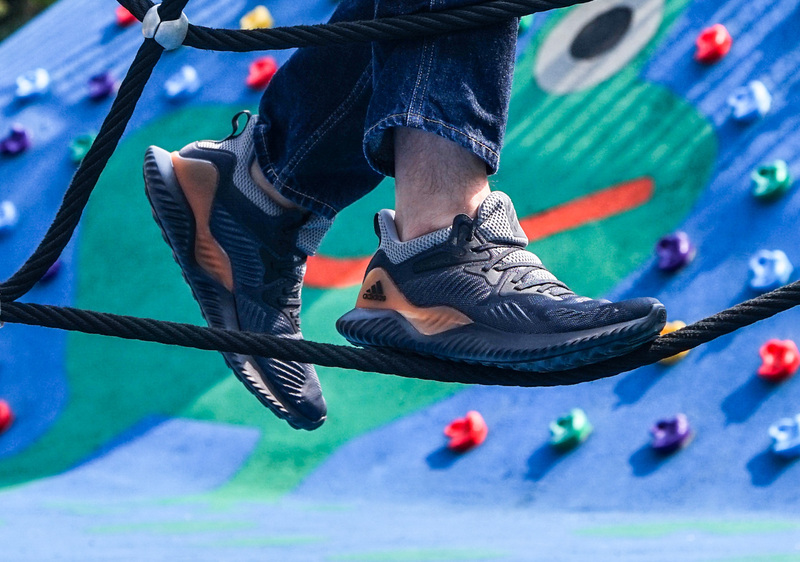 The AlphaBounce Beyond, which features heel-to-toe cushioning, was inspired by VO2 Max training. 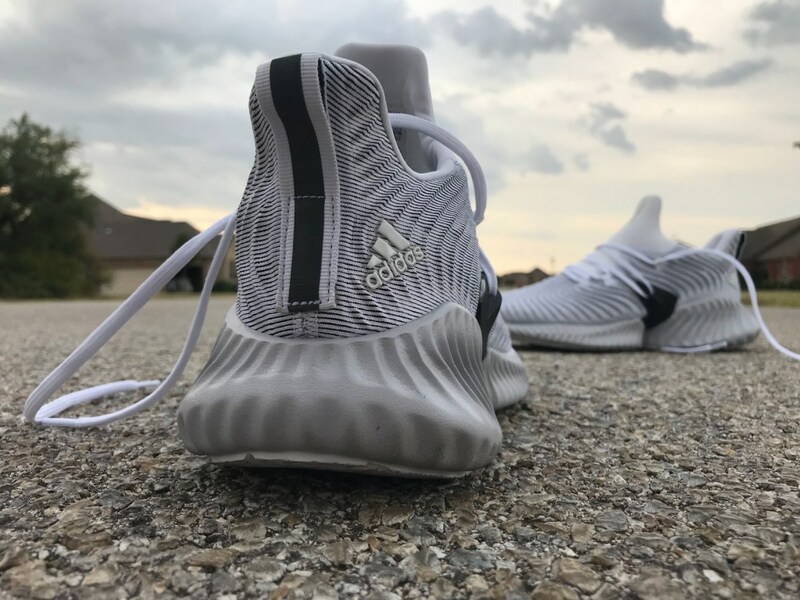 The shoe was created for athletes whose sports require running ,so the design caters to versatile and multidirectional movement, and it is can be fast start when running .and adidas AlphaBOUNCE Beyond features a wider midsole, specific zones for added stability and a Continental rubber outsole, for all design just provides the runner with more traction on various surfaces. 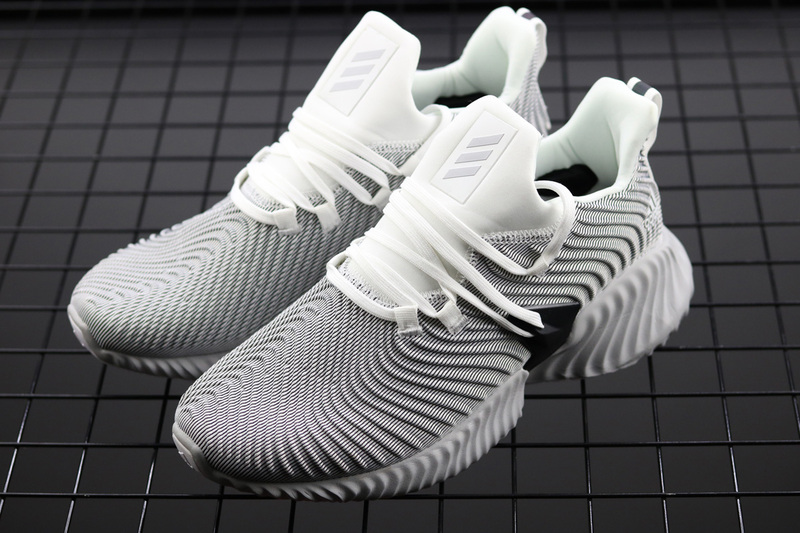 And AlphaBOUNCE Beyond uses FORGED Mesh technology, which uses a similar “forging” method to form a to form a three-dimensional line in a “forging” way.So it is look simply but the performance is nice . It has a strong “shoe compartment” which is strong enough to be avoid of rolling and twisting under the simply look. It is a Woodway Treadmill and 20-minute NormaTech recovery leg compression sessions. The boutique will also pair with Adidas to put on a series of complimentary runs and yoga sessions. 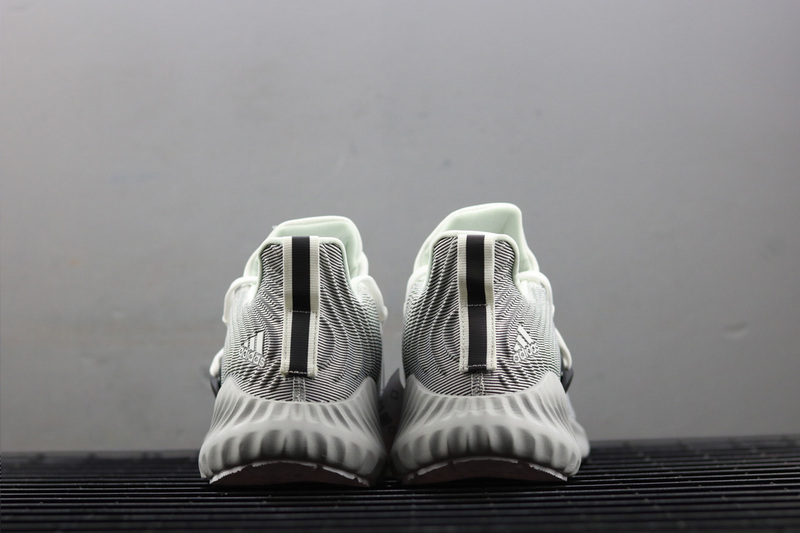 AlphaBOUNCE was as jogging and comprehensive training shoes in the first version, also it followed the soft and responsive from BOUNCE , the bottom used a high elastic coefficient of rubber material, the volume is huge and wide. In addition , the design of shape of shoes , it is look like the type of MARATHON TR which released in 80s.Also the wide of design of shoe add the stability ,just like the god of Fitcounter. 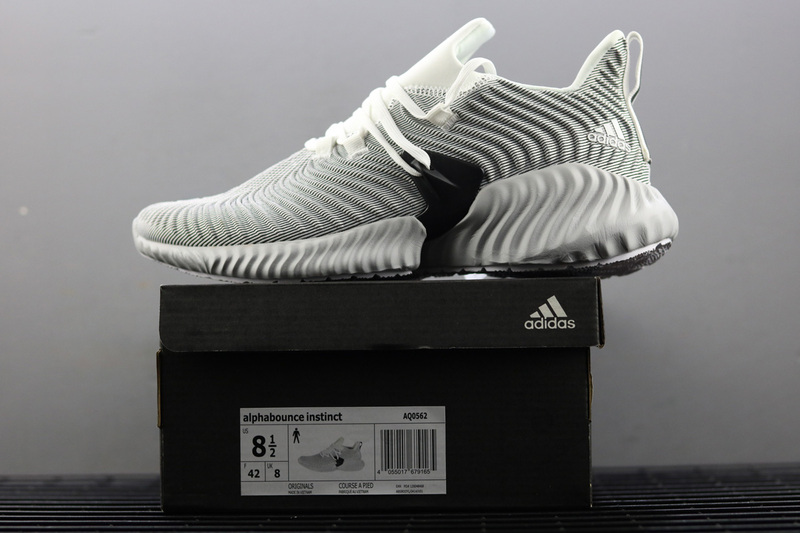 In order to meet the different training methods of different trainings in different sports, AlphaBOUNCE Beyond’s cushioning expand this time, which provide more padding .And this kind of version also provide the more supporting . AlphaBOUNCE Beyond has technical support of Continental . 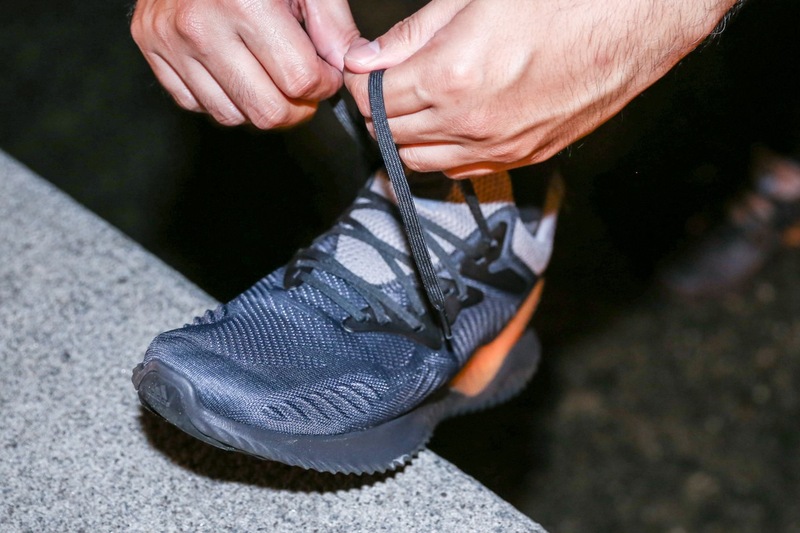 Although adidas AlphaBOUNCE 5.8 ZIP has been used this kind of tech.That is meet the required for the runner .it is not necessarily geared toward runners, as it is meant to help an athlete gain a competitive edge, control tempo, and in the end, dominate their game. 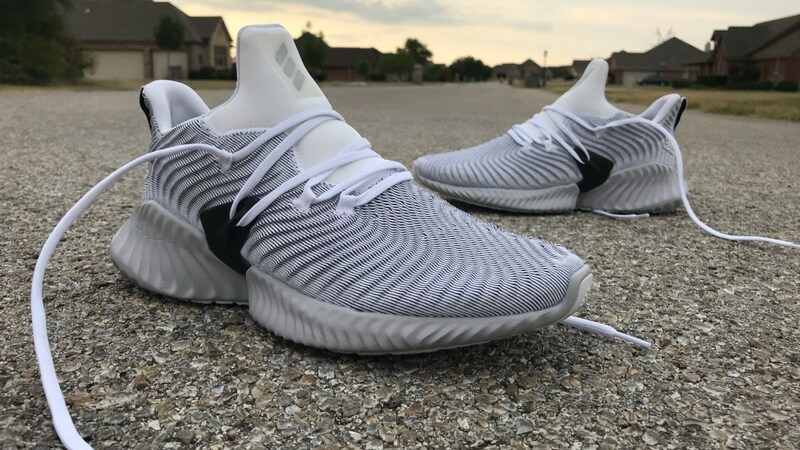 AlphaBOUNCE Beyond is a great sneaker for running and casual day, It is fashion from the traditional sports shoes. 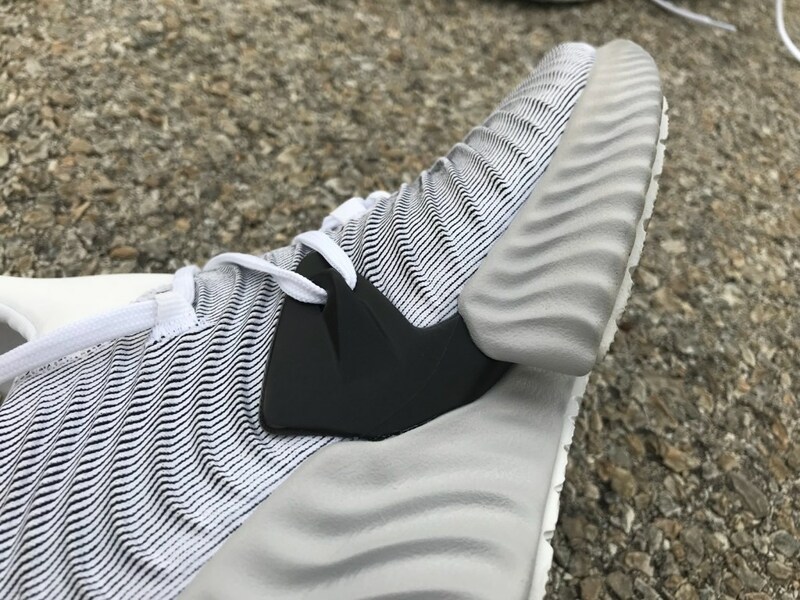 It is basically between AlphaBOUNCE and YEEZY, also the shoes is more performance. 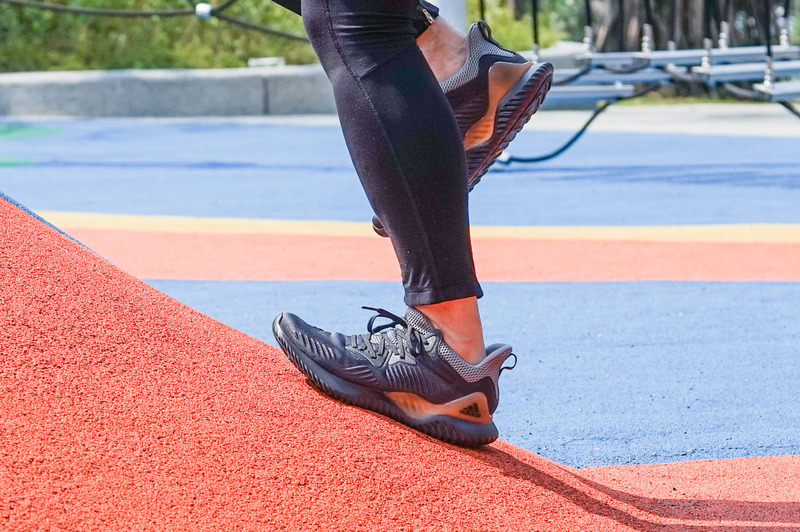 Overall, , AlphaBOUNCE Beyond performance is nice , we tested in different places ,such as indoor and outdoor places, roads and runways. It is flexible and stability . 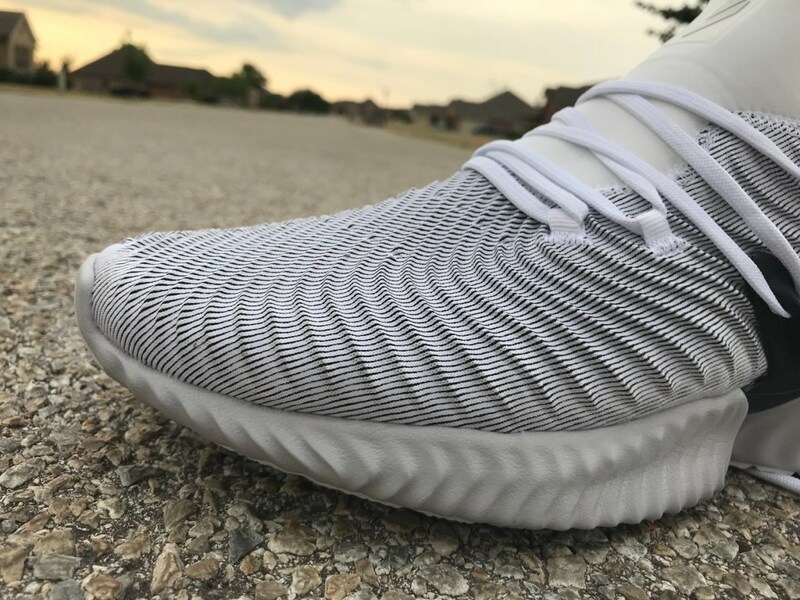 I take it average of 4 days a week, and 2 days for running , I found the new AlphaBOUNCE BEYOND is soft and comfortable.